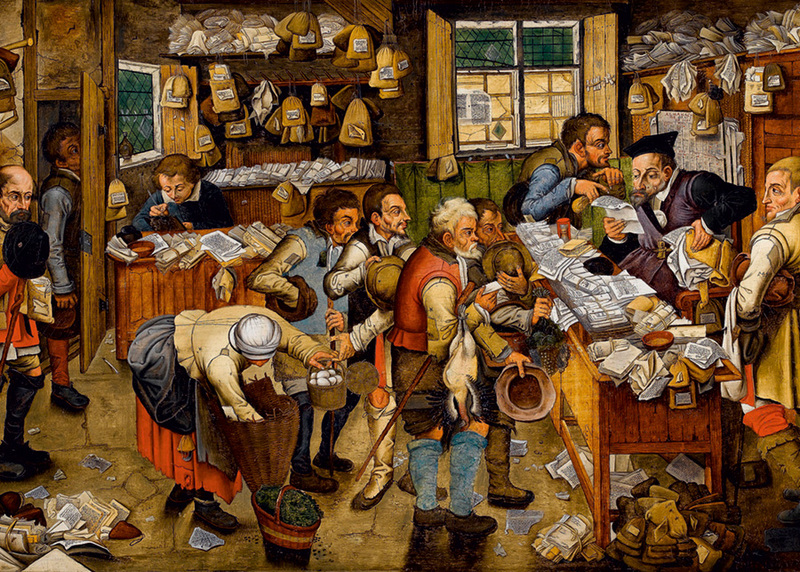 The Payment of the Tithes by Pieter Brueghel II depicts a tax collector's office where people have gathered to pay their duties to the authorities and giving away their last possessions. The work was boldly soci-critical in its time. This 1000 piece puzzle will surely come cheaper than the original of this painting, which fetches over a million dolalrs easily! Item # DT-474 Weight 1.45 lbs.